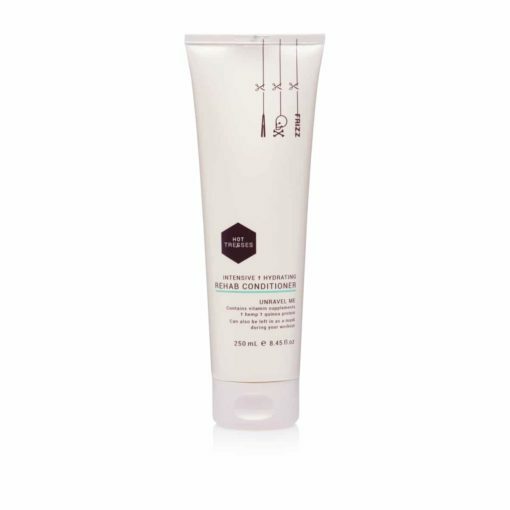 Hot Tresses Intensive Hydrating REHAB Conditioner uses a fusion of anti-ageing, biologically active, cosmeceutical ingredients such as lactobacillus/pumpkin ferment extract, vitamins E and B as well as hemp, quinoa proteins, scalp nurturing rosemary, ylang ylang, castor seed and coconut oils which gently unravel knots and smooth frizz. Option 1: Following shampooing, apply a good coating to your hair, making sure to massage all the way to the ends and rinse as you would a conditioner. 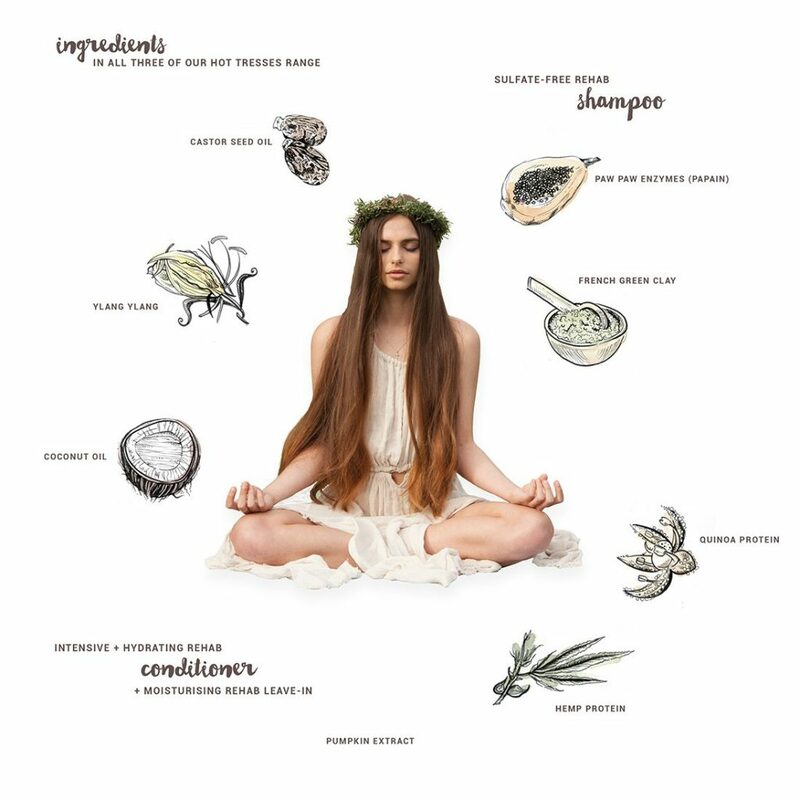 Option 2: Smear throughout your hair, spritz with water, pull your tresses into a Hot Pony or Hot Bun and wear as a mask during your workout/while in the sunshine. Simply rinse off. Your body heat will deepen treatment and preserve natural oils between washes.